New Marriott suite hotel next to I-294. Next to the famous ABT store and close to O’Hare. This Unique location is nestled in a woodland preserve right on the Chicago River. Find yourself immersed in Golf outings, special events and weddings at this one of a kind hotel. 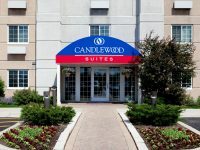 Located just a few blocks from Chicago Executive Airport and 30 minutes from O’Hare. A great Chicago retreat located 20 miles north of Downtown Chicago. Warm d?cor and amenities that will make you feel pampered and relaxed.